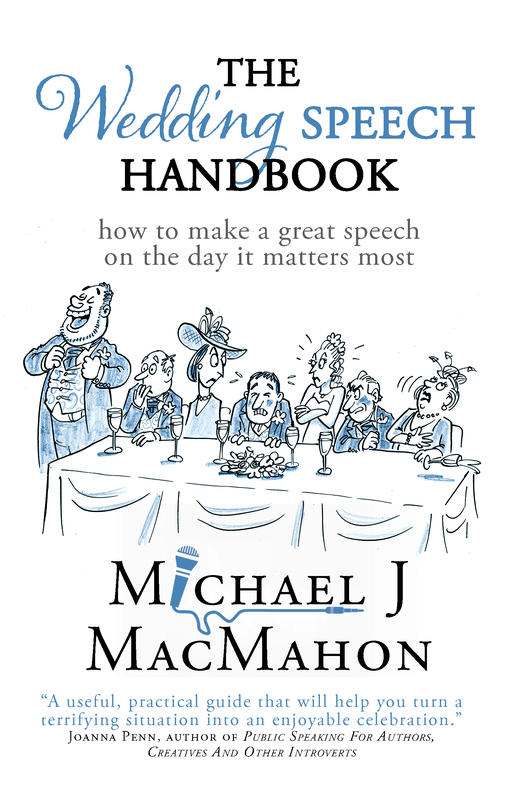 The Wedding Speech Handbook is now available for download; see the link in the sidebar. The paperback will follow in a week or two. … is all about sharing what I learned from my own experiences, before I totally forget what it was all about. My latest title is The Wedding Speech Handbook. The decision to make this the first in what I plan to be a series about public speaking, was prompted by the fact that in the last couple of years I’ve coached several people who were speaking at weddings. It was a very rewarding experience for me; and it reminded me that on this very important day – the most important day in many lives – there are extra pressures in addition to the usual ones that attend public speaking commitments. Then in 2017 my elder daughter was married. Preparing to speak at her wedding confirmed to me what I’d always suspected: it’s not easy! I delayed completion of my book until after that wonderful event, which gave me the opportunity to add what I’d learned. My first book, Back to the Black: how to become debt-free and stay that way, was based on my own recovery from debt, and the book serves as a manual for the ever-increasing number of people facing debt problems. If what I wrote helps you to get out of debt, the experience will have served its purpose. In this book, I use my experience of coaching and debt counselling to propose a structured approach to the problem, reducing the inevitable stress of the situation and makes it easier to get back to the black. Put simply: a few years ago I went through a severe debt crisis. I had turned a blind eye to the problem and came very close to bankruptcy. With the help and support of a friends and a few professionals, I eventually came through the experience without permanent scars to my spirit and credit rating. After I managed to clear my debts and get back to the black, I decided to write a book from the perspective of someone who has been there, had the problem and found a way through it. 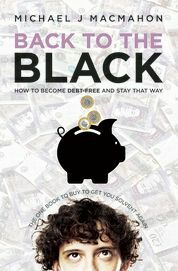 ‘Back to the Black: how to become debt free and stay that way’ is primarily aimed at people going through what I went through. If you have debts that have reached, or are reaching, problem proportions – whether those debts are personal, business or a combination of both – then this book is for you. Look at your debt problem in the same way a coach or counsellor would. Learn the three main strategies to become debt-free. Learn many tactics for handling stress, formulating a plan, negotiating with creditors and much more. You’ll read my story: where I went wrong and how my debts built up to the point of becoming unmanageable; how and where I found unbiased advice and support; and how I found the solutions that eventually got me out of debt. Most importantly, though, you’ll learn what I hope you’ll find to be a logical and step-by-step process to decide what’s the best option in your situation. You’ll find chapters on the stress caused by debt and how to deal with it; on how to formulate your debt management goals; on how best to evaluate your current situation; and on how to develop a list of options for how to get from where you are now to where you want to be. Then I deal with the main strategies for bridging that gap. The book concludes with a comprehensive “Resources” section, including contact details for a wide range of organisations that can provide you with one-to-one assistance that’s tailored to your personal situation. There are many reasons why we get into debt and debt problems often result from a combination of circumstances, rather than from a single cause. In my own case, the primary cause was the gradual failure of a business I had started a few years before; however that problem was made worse by the fact that I just expected things to improve, so I carried on spending. It is my contention, however, that whatever caused you to get into debt, the principles for getting out of debt are the same. “It’s not often I come across a book about Money that’s easy to read. It’s the kind of book that with my 43 years experience as an Independent Financial Advisor I would have loved to have written. Michael has drawn on his own stressful experience of facing up to possible bankruptcy and written an easy to read no nonsense guide on how to become debt free and stay that way. “This book is impressive – the writing is so good. It is very touching – Michael has been through a very hard situation, and he is open about it. To see all the reviews click HERE. Back to the Black is available as a Kindle ebook or paperback, through Amazon’s US site or through Amazon.co.uk, or to order from all good bookshops.